Vern Burkhardt (VB): Is it possible for everyone to learn to be more innovative? Jeff DeGraff: Yes, it's possible but within degrees of proficiency. This is important because there's a lot of talk in self-help books about how all of us can be da Vinci's. Anybody who thinks about their educational experience knows it's not true. Think about the gym class you had with Michael Jordan, or the piano class you had next to Mozart. We all know greatness when we encounter it. You certainly can develop your capabilities but to assume that everybody can ascend to the level of creative proficiency that these polymaths, naturally gifted people, or people who develop special skills through unique experiences is absurd. And I think we know it. VB: There are different levels of skills and abilities that we are born with and develop. 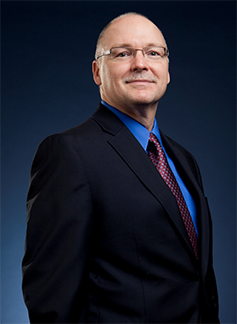 Jeff DeGraff: Yes, we can certainly get better, and we can find out what our gifts are. A lot of people haven't found their unique way of being creative. Certainly it's not in the same way and at the same level of proficiency as everyone else. VB: What does it mean to be a great "creativizer?" Jeff DeGraff: I coined the term 'creativizer' as a play on word. I start describing the term by telling the story about 'martinizing'. Any time you 'ize' something you add something to it. I love the idea, and I think it's true that the people who make things happen in this world are the people who add creativity to what would otherwise seem to be an ordinary, routine activity. It may be somebody who figures out how to help you hire a person with new skill sets for your organization, or the person who figures out how to free up money this quarter so you can afford to run an interesting project. They are advisors and they offer help. Organizations that have a critical mass of these 'creativizers' seem to be moving quickly towards new growth, or at much faster rates of growth than other organizations. These people exist and are encouraged in the Zappo's of the world, and they're not only in senior positions. Let me give you a specific example. A frontline employee – a dishwasher – at Zinngerman's in Ann Arbor, Michigan, who was aware that food costs were high, observed a large amount of waste in uneaten French fries. His solution to the problem was to cut the serving size in half and, at the same time, offer free refills. This reduced costs while at the same time customers' perception of value was increased. This dishwasher was a creativizer. VB: When you use the term does it resonate with people? Jeff DeGraff: It does. It has two effects. About 60% to 70% of the people love it and they immediately get the idea. They're not trying to make everybody an Uber Creative Design genius; rather they want to have their people start energizing creative momentum around innovation. An analogy is what in baseball we used to call 'small ball' – to have people hit a lot of singles to get runners moving around the bases. It seems that the other third hate the term. They seem to prefer Homeric or heroic terms. For example, we have a well-known company as a client which refuses to use the term. Instead, they are calling their 'creativizers' the "Tesla Society," named after Nicola Tesla. Perhaps it sounds more powerful. I don't care what you call them as long as you understand what these people do and how important they are to your organization's success at innovation. VB: It's interesting that different people can have such different interpretations and reactions. Jeff DeGraff: It sure is. It's a great reminder that one size never fits all. VB: In your book you say, "…you can only succeed in the long run if you innovate and keep innovating, which means tolerating the uncertainty of the future." Is this the same as welcoming constant change, even though you say, "innovation isn't change?" Jeff DeGraff: No, change is trying to move away from something, such as there's something terrible happening in our economy and we want to get away from it. Innovation is moving towards something. It may seem like a minor difference but it's a huge distinction. Moving away from something is almost always traumatic while moving towards something is almost always a euphoric experience. In a personal way, if you lose your job and rush around trying to find a new one, you're reacting to change and it's very stressful. On the other hand, when the market collapsed on September 27, 2008 and the recession set in I bet you noticed that some of your friends who lost their jobs took a moment and said to themselves, "This is my chance to do what I've always wanted to do – open a bakery." Or "I've always wanted to join Doctors Without Borders." The people who took the change to their job security in a reactionary sense were devastated. The people who looked at it as an opportunity were not. They had very different attitudes. The two alternative approaches resulted in different momentums, ego-involvements, and levels of energy. The same thing is true for people who are out of a relationship. When a marriage stops working there's a part of it that's painful and you have to go through it emotionally. I've noticed with friends who have gone through this experience that some of them are completely derailed, and their entire going forward is a reaction to the marriage breakup they experienced. Others seem to pull forward and follow the Pole Star; they follow the North Star. A great example of this is Christopher Columbus who was trying to find a Western route to the Spice Islands. He was confused, just like most of Europe was, but he didn't think the world was flat. Whoever said it was flat wasn't paying attention to the historical fact of the Spice Trade and Silk Road. Plus Columbus, who had been an Admiral, had a navigator's library and was a smart man. He was trying to move towards something. We write about Columbus because he sent multiple ships. In fact, many scholars believe he sent four – not three – with different hulls, keels, crews, and types of provisions. One ship, the "San Marie", had prisoners on it. All of the ships took different routes. Some might wonder what was Columbus doing? Well, he was hedging, and hedging is completely different than change. He was saying, "I don't have information right now. I need to gain information so I'm going to spread my portfolio at the very beginning of this venture." It's no different than what venture capitalists do today. They know they're trying to create a therapy for a disease state but they don't know which one's going to work. They aren't running away from something. They're actually trying to accelerate the failure cycle and move towards something. This is an important distinction for people who are trying to recreate their lives because of what happened to them in the aftermath of the last recession. There were two extreme reactions as possibilities. The first reaction is what I call 'magical thinking'. If I think happy thoughts the universe is going to do what I want it to do. This is superstitious and it's narcissistic in the worst sense of the word, because you believe that you control the world. If you took this reaction too far you'd be in an institution somewhere and rightfully so. The second reaction is I hate everything and everyone. The politicians are to blame. The bank is to blame. The person who holds my mortgage is to blame. Everyone's to blame. It seems that most people put themselves in a reactive position meaning that they did not become responsible to make change happen. This distinction is important because without responsibility you cannot have the freedom part. You have to be free and responsible. There's an existential element to innovation where you have to say, "I don't control the universe and there's people who do things that irritate me, but here's what I'm going to do." The moment you own your situation it completely changes not only your thought process but also your feeling about the voyage. VB: You refer to an innovator's mantra as, "Look up, down, and around." Would you explain this mantra? Jeff DeGraff: I explained this on a PBS special, which goes with my book Innovation You, now airing all around America. When I explained for television I had a Russian nesting doll, a matryoshka doll. I started out with the smallest doll and said, "This is you. You want to drop out of your job as a lawyer and raise Llamas. You've always wanted to raise a Llama. It's your dream." Then I put that doll inside the next biggest doll. "This is your family. You have a wife and children. The children go to private school and little Harvey is destined to attend Harvard. You live in a nice part of town and everyone around you likes the fact that you're a lawyer. They're not thrilled about the idea that you're going to quit and raise Llamas. They want to support and be helpful of your dream, but there are some constraints." Then around this middle-sized doll is the largest nesting doll. "There's a recession and it turns out there isn't a great demand for Llama wool, so these are significant constraints." The second part of the story is that when you start looking at those nesting dolls, when you start looking up and down and to the people around you, you begin to figure out where your opportunities are. I'll give you a great story to illustrate this. In about November of 2008 I was in Florida doing a project at NASA. I went for a walk along the beach and saw an incredible number of 'For Sale' signs. All of these people were losing their houses, and it was a scary time. I met a man who was walking the other way along the beach and he was writing on a clipboard. I asked him what he did for a living. He replied, "I work for one of the major hotel chains. We've been looking at property here for ages and it now looks like this is our opportunity." I'm not playing on the devastation to the people who lost their homes, and it was terrible. What I'm also saying is if you look at any trend, whether good, bad, or indifferent, there's something that can be gained from that trend. This is looking up, down, and around. This is not only a challenge for ordinary people. It's also a problem for innovation strategists who love to look at big trends but never want to look at how people feel about these trends, such as consumer confidence, or whether they have the ability to implement their response to these trends. In the same way, individually we look at our own lives but we may not ask ourselves what's going on in the larger picture. VB: So we should stack the Russian Nesting Dolls. Jeff DeGraff: We should stack the Russian Nesting Dolls. VB: "In a way, it doesn't matter if things are going very well or very badly – on either side of normal comfort, there is the opportunity to launch an innovation." You advise us to combine this with the 20–80 rule. How does this work? Jeff DeGraff: The well-known 80–20 rule is a form of dominant logic which is dangerous. Most people have tried to create ultimate efficiency in their lives, and I'm no different. People are forever connected to everything. The notion is they have no time to develop their own thinking so they're easily coerced and co-opted. Political parties do it to you. Marketers do it to you. Few have thought about the end state of this dominant logic. The ending of the 80–20 rule is to make your life super efficient. What if you wanted to make your life super creative? What if efficiency wasn't the key; what if you wanted to have variation? If you're looking for variation the 80–20 rule is the worst rule you could possible have. On the other hand, the 20–80 rule says it's much easier to change 20% of your life by 80% than it is to change 80% of your life by 20%. You have to look at your life as if it was a bell curve, and it's no different with companies. I used to be on one of Apple's Advisory Committees in the early 80's, and so I recently wrote a number of articles about the unfortunate passing of Steve Jobs. In 1997 Apple was trading below $5.00 a share. Part of the reason Apple got out of its crisis was that it was at the edge of the bell curve and, when in this position, the risk of trying something radically new and the reward of staying where you're at are reversed. It's one of the few times this happens. When you have a drinking problem or a terrible disease, you can't keep doing things the way you've been doing them. If you want to change things in your life, you change the part of your life that you're deeply dissatisfied with. You may not like your weight, current relationship, job, or the way you talk to your kids. There has to be some reason to pull you to the middle. Reading my book or anybody else's book doesn't pull you to the middle. People who sell that stuff are either trying to sell you something or have other nefarious motivations. We are most likely to change when we have a crisis. The other side of the Bell Curve is being on a roll. Remember when you were first in love? You just graduated from college. You got a promotion. You won the lottery. Your first book got published. When you're on a roll you try something different, because risk and reward are reversed – you're invincible. Here's the key point. Innovation doesn't start at the middle of your life and work it's way to the edges. It starts from the edges of your life and works it's way to the middle. It works in the opposite way, and these are the kinds of things I'm trying to point out in Innovation You. If you really want to change your life this is how to do it. Why is it that the great companies are created during a recession? The same applies to great products. Constructive conflict is key. When we don't have constructive conflict we don't use the edge of the bell curve, and that is a challenge for innovation. As a bit of a tangent, think about the raising of the deficit in the U.S. It's the 75th time we've done it since 1960. I keep hearing it's the largest ever as a percentage of GDP. The fact is it's not even in the top ten. 70% of our deficit goes to defense, Medicaid, Medicare, and Social Security while 4.5% goes to repay the debt. People say misleading things about the numbers because they're politically motivated. This means that 70% of U.S.'s debt is related to entitlements, and if you want to cut the debt in half like some of our representatives have suggested there are only three choices. The first is to raise taxes, but if you're a politician you don't want to do this because you're not going to get re-elected this way. Choice two is to cut entitlements. Politicians aren't thrilled to cut Grandma's Social Security. The third option is that you innovate, and do something quite different. Instead of reacting you go forward towards something. Here's my point. Innovation happens in a crisis and it requires constructive conflict. In the debt debate we didn't have anything constructive and it wasn't really a conflict. We didn't have the pushing and shoving that creates hybrids, which creates innovative and synthetic solutions. We had the irresistible force and the immovable object. VB: In order to focus we must be realistic as well as open to constructive conflict. Jeff DeGraff: You're right on. You've got to be sober. Being an innovator has a kind of yin and yang. You have to be visionary, and Steve Jobs was a perfect example. You also have to be like Teddy Roosevelt – do what you can with what you have wherever you are. You have to get from here to there, and you can't do that unless you're sober. This becomes the tension. I'm not trying to say that we shouldn't be visionary – we should – but we also have to make provision for all the things that are going to happen to us along the journey. VB: Did you know Steve Jobs? Jeff DeGraff: I met him a few times when I was young. I worked as an advisor to Apple Computer on the Team Member Workbench project in the early 80s, which was the first widely-used social network system complete with personal photos and an open collaborative network. It was a predecessor to now well established concepts of collaborative open innovation networks like the ones we see iTunes and Facebook. In the mid 80s a video called "Knowledge Navigator" was made, which I'm not in but I was part of the group they talked to. When you look at this video you ask yourself, 'How did Steve Jobs know what the Internet was going to be?' None of us knew back then; it didn't even exist. Steve Jobs was good at surrounding himself with bright people who had different points of view. A lot of these people were visionaries who were very smart, were ego-involved in their work, didn't hold the same ideas, and had known each other since graduate school. These meetings were not love-fests. If I told you who these people were you would be astounded. I certainly was grateful to be assigned to this group which had a lot of people who were older and wiser than I was. It takes a remarkable person to surround yourself with divergent people, some of whom you may not even like very much. I think that's what made Steve Jobs remarkable among other things. You don't see a visionary who is cross generational like he was until you go back to someone like Walt Disney. It's a pretty rare thing. VB: Steve Jobs was so young when he died. Jeff DeGraff: Walt Disney was too – 65 years of age. Steve Jobs was only 56. Steve Jobs was an amazing guy. I am grateful I got to see him in action up close. Remember, I was one of the five guys who built Domino's Pizza. We were the Google of the 80's – 300% growth a year. I learned a lot from seeing Steve Jobs' way of operating. About the time I was coming into the picture, he was being pushed out of Apple. VB: "If you want to know what's going to be next, what is getting into motion today and creating the opportunity to ride, you'll need to keep watching the weather." What do you mean by "watching the weather?" Jeff DeGraff: I tell the story in the PBS program about growing up in Western Michigan. Michigan is surrounded by 95% of all the fresh water in the United States. It's like a huge island in the Great North. The weather here could be 70 degrees Fahrenheit at noon, raining by dinnertime, and snowing at dusk. When you live here you learn to pay attention to the sky. It's the first thing your mother tells you as a child, because the weather changes so fast. This is also true for people. They spend time and money getting an education and then bury their heads in the sand. Does anyone believe that nobody knew a recession was coming in September of 2008? Anyone who didn't know didn't read any magazines or newspapers, pay attention to the market, talk to anyone, watch ESPN, or go to Facebook. It strikes me as absolutely ridiculous that people have spent time getting an education, and then brag about the fact they don't watch the news or pay attention to these things. Then they're stunned when stuff happens to them. The solution is simple. Pay attention. Read magazines. Don't just pass judgment on people who are protesting in the park – go to the park and talk to some of them. If you're a conservative, read the New Republic. If you are a progressive, read the National Review. Widen your network and stop being afraid of the world. Your fortune and your future reside in it. Sorry to be so animated about this but we're the country of Emerson – of self-reliance and manifest destiny. We used to be a nation of passports and travelers. We're a nation of immigrants. We need to become interested in the weather. I've listened to people on television talk about the situation in places like Greece and France, and I'm convinced half of these people have never been to any of these places. People ask me, "How do you know what's going on in China?" Well, I spend a lot of time in China. I talk to a lot of friends who spend a lot of time in China. I'm not saying that everybody can afford to travel, but you have to be interested in the world for the world to be interested in you. VB: The 'war on terror' seems to have made many Americans more isolated and reluctant to travel. Jeff DeGraff: It sure does seem this way, but was it any different before the 'war on terror'? The key consideration is not about getting on airplanes and travelling internationally because not all people have the means to do it. It's about your curiosity in others. I am astounded always when people make remarks about various religions. My response is, "Have you ever been to a mosque or synagogue? Have you ever been to a naming ceremony in the Hindu faith?" You don't have to actually go but be interested in them. Once you're interested you're not going to be to demonize them. You're going to develop an understanding of unfamiliar things, and it's going to make you even more curious about the world. This relates to your earlier creativizer question. You have to be curious about the world. There's only so much you're going to get by surrounding yourself with yourself. VB: Does it surprise you that so many people are not curious? Jeff DeGraff: Yes, and it alarms me because a lot of them are opinionated and vocal. They're usually not particularly bright, and I'm very alarmed that we're moving into an era where being intelligent is somehow considered to be a liability. The only way to be a high wage nation is to innovate. Having creative, curious, motivated, and bright people are requirements to being an innovative country. When a nation moves away from this it will quickly decline to a low wage economy. VB: "At the personal level, almost anyone you know will tell you that they are overly busy and overly stressed…we suffer with our 'do it all' mentality and inadvertently create a mélange of mediocrity." Is doing a "capacity review" to free up some of our time, energy, and resources one of the most important aspects of becoming more innovative? Jeff DeGraff: In a word, yes. I have to say I'm a hypocrite because I want it all. I'm productive and prolific but about every three months I end up overwhelmed. I'm not suggesting this is the answer, but the way I handle it is to call my staff together and push some things off my plate and other things off the table entirely. It involves a lot of rebalancing. The reason rebalancing is necessary is you can never get to the new thing you want to do if you can't let go of the old things. Everything costs something at least in terms of your valuable time. You can't keep adding new things and the question emerges, what are you willing to stop to free up time and resources to do what you want to do? I'll give you an example. I was on a plane returning home the other day, and the woman sitting beside me was talking about how she has an idea for a novel and wants to write it. It has been 20 years that she initially came up with her idea for a novel. Over that length of time if she only wrote half a page a day in the equivalent time of a year and a half she'd have completed a draft. She told me she is unable to write a half a page a day because she is a consultant, travels all the time, and has to go to the gym every morning. When I asked her, "What three things are you willing to get rid of to make time to write your novel?" she replied, "I can't get rid of any of them." My response was, "Then you'll never write the novel." She looked at me crestfallen so I informed her, "It's because there are no constraints which you have control over that you're willing to let go." I also have to be realistic about the challenge of time. When I'm starting a new book, as is now the case, I have to balance my work and personal pressures in order to find the time to do it. It may mean teaching one less class or taking one less client in my consulting practice, but I have to give up some things. If you want to produce quality you have to free up time. VB: How do we know when we have slipped into the "negative zone?" Jeff DeGraff: When you reject the opposite. This is a great descriptor of U.S. politics right now. If you like one party, you hate the other. Both groups – both ideologies – have slipped into the negative zone where no one's listening. No one's trying to connect the dots or to reconcile with each other. All are in their fighting corners. This is what happens to us individually as well. What's insidious about Facebook is that it gives the illusion that it's diverse, whereas it is reinforcing all our existing beliefs about life by surrounding ourselves with people who think like we do. If someone in our Facebook group doesn't think like we do, we have something that even the Spanish Inquisition couldn't have thought up on a dark road on a dark night. Unbeknownst to anybody we can slip in and 'unfriend' that person. We don't even have to have a conflict, and we don't have to have a discussion about our concerns. We can simply burn the bridges. When you're in the negative zone it's all about your health or money, and it's never about the community or learning. It's all about your creative actions and it's never about safety or savings. You've basically snuffed out the other point of view. VB: You say there are only 4 basic approaches to innovation – collaborate, create, control, and compete. How do we consciously change our preferred approach to innovation depending on our goals for a specific situation or challenge?" Jeff DeGraff: It comes back to you first question which was about how can we learn to be more innovative? There are three answers to this, and the first one is not very realistic. The first is you develop capabilities, or you develop an ability in an area where you're currently weak. This approach hasn't been very successful for me. But you can try and I've seen people do this. I have a friend who decided to do a PhD as he felt he had never sufficiently acquired analytical skills. It was a real challenge for him, and I'm not sure it was worth the effort. The second thing you can do is surround yourself with people who are different than you are. This is what I do. I'm a pretty extreme Green [create] and very Blue [compete], and I have almost no Red [control] or Yellow [collaborate]. So I conscientiously have an organization around me that's more Red and Yellow than I've ever thought about being. The third and most important part is being mindful, being conscious of what is appropriate for your desired outcome and the situation that you're in. I've gone to meetings where people want to talk about what a community is supposed to be, and in the meeting everyone will be dialogical and they'll talk without a lot of focus on the goal. This can be fitting given that they're trying to create bonds and a shared vision, which is in the Yellow quadrant. I've also gone to faculty meetings where they were trying to decide whether or not to offer a significant new degree within an environment of many specific constraints and time pressures. I've seen the group go into the same kind of dialogical mode, but in this case you have to try to move them into making a timely decision, with specified criteria, and clearly defined results. In this circumstance the conversation needs to move to a more Blue way, because the situation and outcome require it. Conscientiousness is important. Most people have one way of leading and they think it applies to every situation, and it never does. VB: Being conscientious is what it means to "think around the colors?" Jeff DeGraff: Exactly. It's what I mean by prismatic thinking. Look for the hot spots. The hot spot is where an opportunity or a challenge is and you see it clearly. If I can overcome this challenge or I can capture this opportunity I'm going to change my life. People are geniuses in one color so they know where the hot spot is. For example, I see that my opportunity is to go downstairs at lunch and work out and that's how I'm going to lose the weight. Or my challenge is there's a fast food place one block from my school and I am tempted to go there rather than to a better place three blocks from the school to eat. The point is that the hot spots are easy. What's hard for people are the blind spots. You get those Blue teams named 'Tiger Team', 'Go Team', and 'Win Team', and people are gung ho about doing something great. When it comes time to actually implement the initiative in the organization the question of how you enroll and enlist people becomes relevant. This fits into the Yellow quadrant but since there are no Yellows on the team although enthusiasm was great at the beginning it then fizzled out. Pay attention in prismatic thinking to the blind spots where you're not used to looking, because that's where your answer is going to be. VB: You probably want to find someone who thinks in that color. Jeff DeGraff: You sure do. It can be challenging because people who have different ideas than you do are annoying. And there may even be conflict. There are days I'm just not up to it. But I'm conscientious in saying, "This is a day when I'm not going to be my best self." So I'm going to work in my office but I'm not going to stay in my office indefinitely. I'm going to go back tomorrow and talk to the person who has a different profile and belief than me. I'm going to try and work through this because that's where I'm going to get the new answer. Quite literally it's in embracing the loyal opposition that we grow. VB: You used the word "try." Sometimes you have to force yourself to speak to the person you don't feel comfortable with. Jeff DeGraff: It's like anything. You have to pay attention to when you're using conflict constructively. I've also left situations where I've tried to use conflict constructively and it became destructive. I had to disengage and say, "Look this isn't going anywhere. We're not done. I'm going to come back and we're going to try it again on another day." Remember, in addition to great strategies and typologies we like to create, we're human, and we have good and bad days. By being aware of our preferred method we can consciously learn to use the most useful parts of all four methods to achieve our goal. Indeed, Jeff DeGraff advises that the best way is to start with your goals and work backwards to pick the appropriate approach to innovation.